That's a good opine San. I agree the mayor did not handle it well and I haven't seen anymore about destroyed busses so I can't comment on that. And the Governor was imploring people to leave, but a lot of folks don't have the means to do so. Just a heads up: seeing some standing water in roads north of Clearwater up towards Pasco County. Current inbound static radar.......Largo should be popping in soon since he's smack dab in the center. I gotta hand it to KHOU 11 for the outstanding coverage of the events in Houston. I hope that the Tampa stations take note of it is ever needed here. Evac is actually rather simple. You just need to organize 40 million human beings, who understand their role and responsibility in a severe weather event. 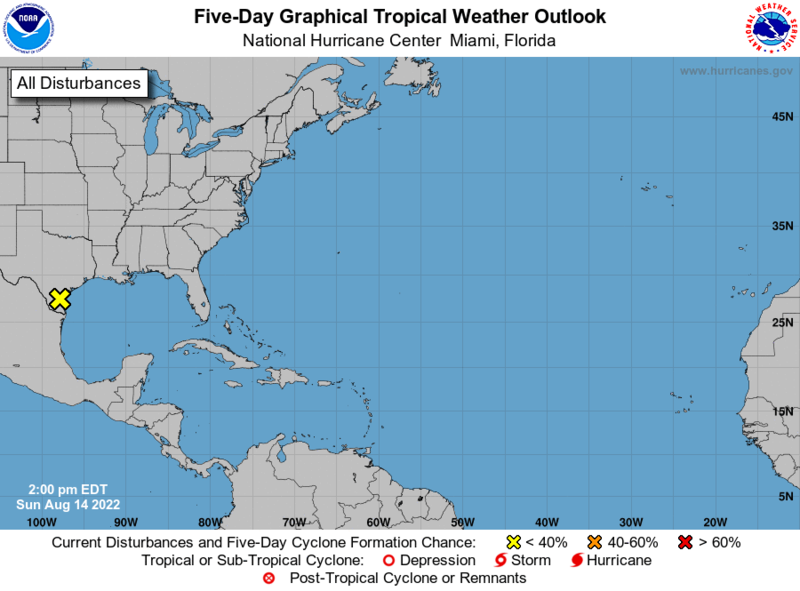 If they are all knowledgeable, aware, and ready at a moment’s notice, the Gold Coast is a Ghost Town in 48 hours; Coast Guard, National Guard, Red Cross, FEMA are already in full action, and the Pres is in the State’s EOC for landfall. Then the storm takes a jog out, and comes back to hit Jacksonville! Yes. It sounds like the Houston Mayor could have done a better job. He had fair warning, and his emergency managers should know the expected outcomes from the rain predictions. I'm not quite sure how to interpret your post JR. I think we all agree it's just awful. And I just love all the people (not government) that are stepping up to help. The Government of course will be there too, but I liked it when Trump said, this is no time for congratulations, we will do that when's it's over. And there's a long way to go. BillsfaninSoFla wrote: I'm not quite sure how to interpret your post JR. I think we all agree it's just awful. And I just love all the people (not government) that are stepping up to help. The Government of course will be there too, but I liked it when Trump said, this is no time for congratulations, we will do that when's it's over. And there's a long way to go. Another .5 here from that bonus round. Good Wednesday Morning folks! !.......well I got some Heavy down pouring rain last night,i Had thought..the storms had moved north..they didn't lol...oh well today is supposed to be drier and some area's really need..dry out time huh...........well Blog's COFFEE is set to perk for when you get here enjoy..have a great day everyone! well this early morning, models still are making 93L a hurricane and some..are making it a very Strong hurricane and..headed westward still............still 9-10 days out..and no use listening to model runs..surely they will be changing over and over...for myself I'm going to really be watching this 93L from Labor day on..we should have a better idea where and how strong by then. Another .63 in the bucket last night. 7.97 for the month. 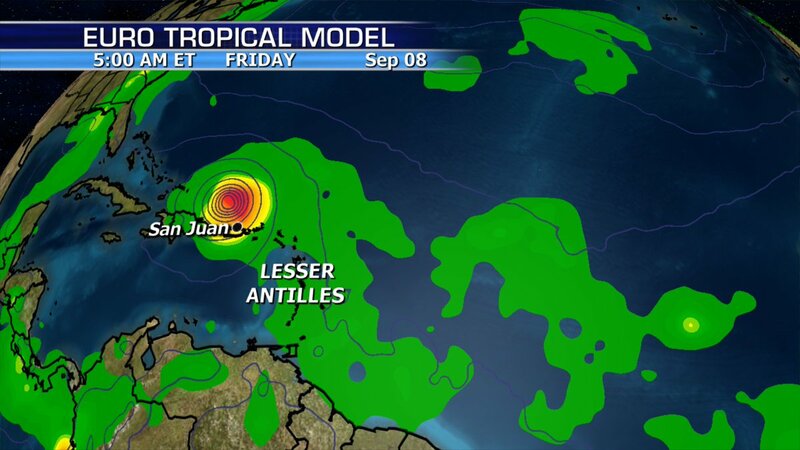 Keep watching 93L Largo. I am busy and don't have a lot of time to keep track and you do a great job!!!!! good morning John, ok will do..im retired and have time for sure to keep tracking this may be Bad storm coming..still plenty of time yet for it to turn away or die out.....but this time of year every storm needs to be watched huh....have a great day john. Jenny...is your area getting any of Harvey's wind or rain at all?? folks don't look at model tracks yet..way too early,maybe labor day or a few after that they'll know...my guess is from 9-9 to 9-11 is our danger time unless it stalls or turns. one thing is almost for sure..this storm will have plenty of time to build as it comes across and from the discussions..there seems to be little of the things that could kill it off like shear or smoke etc. Glad to see some of you finally getting the rainfall. This event really hasn't done much here in Levy county. I did pick up another 0.60" yesterday afternoon and it fell in a long lasting light to moderate rain/soaking rain. That brings my monthly total to 12.45". This summer really started out dry for all of June, but it has been a nice rainy season here since then. Now lets keep all those tropical SOBs away. Don't need any Frances/Jeanne repeats. waterdipper wrote: Glad to see some of you finally getting the rainfall. This event really hasn't done much here in Levy county. I did pick up another 0.60" yesterday afternoon and it fell in a long lasting light to moderate rain/soaking rain. That brings my monthly total to 12.45". This summer really started out dry for all of June, but it has been a nice rainy season here since then. Now lets keep all those tropical SOBs away. Don't need any Frances/Jeanne repeats. yes indeed..i hope it turns away. this model says 9-11 this year could get interesting but wayyy too early to believe any model..
mid-level conditions, which should temper the intensification rate. Atlantic is forecast to steer Irma westward over the next few days. the storm to move, somewhat unusually, toward the west-southwest. as the ECMWF or its ensemble mean. for myself, I have a bad feeling about this one..i hope somehow it dies off or recurves out into the atlantic...but..many days left to watch it..who knows what it is going to do. 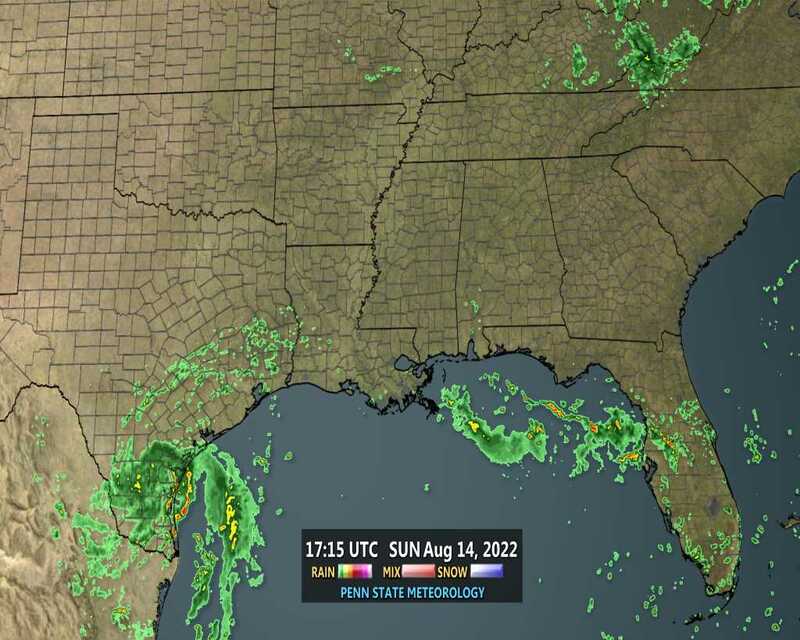 one thing maybe in our favor..it formed way too early,and by Saturday maybe its a hurricane and still far away from us...could it..burn itself out before getting close to us? LargoFL wrote: one thing maybe in our favor..it formed way too early,and by Saturday maybe its a hurricane and still far away from us...could it..burn itself out before getting close to us? Thank you for all the updates Largo! I was thinking that too. Don't strong early developing storms tend to get pulled northward? Or is that just wishful thinking on my part? yeah and the sun sure is strong today and humidity is high too..whew. basement or small central room in a sturdy structure. This IRMA may...turn out to be one monster of a storm,nothing in its way to seriously make it wane in strength etc..and the blocking high pressure to its north wont let it go northward...still 9 days away unless it somehow speeds up..and so far it looks like Florida or slipping thru the straights into the gulf..BUT..nothing track wise etc can be believed..way too early....guess that needs to keep being repeated huh..kinda scary after seeing pics of Texas and Harvey..and IRMA could be..just as strong...well that's just me thinking this..for myself day after Labor day I might freshen up my supplies etc just in case. Yeah, Irma seems she doesn't want to play nice. We shall see how things evolve the coming days. Relatively dry pattern here continues. Not super dry but below normal rainfall wise. Around 4.75" for the month. Average is 6.5"
I heard that we are to expect gas shortages due to Harvey. Sure hope that's not true, especially if Irma decides to visit. No worries, StAug. I'll have my sis pick y'all up on the way down. A storm up there, means the party is at my place. BillsfaninSoFla wrote: I heard that we are to expect gas shortages due to Harvey. Sure hope that's not true, especially if Irma decides to visit. JR gas prices are up already (at least down here) I paid $2.49/gallon today. Largo, thanks for all of the posts in here. I've been so busy with work that it is nice to be able to pop in and see everything and not have to go hunt the graphics down. I finally had a day of sunshine and my plants are happy. I had not heard about the gas prices, but it wouldn't surprise me at all. I guess I should probably fill up before they skyrocket!